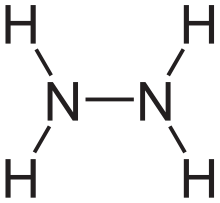 Hydrogen atoms are naturally abundant in people and other biological organisms, particularly in water and fat. 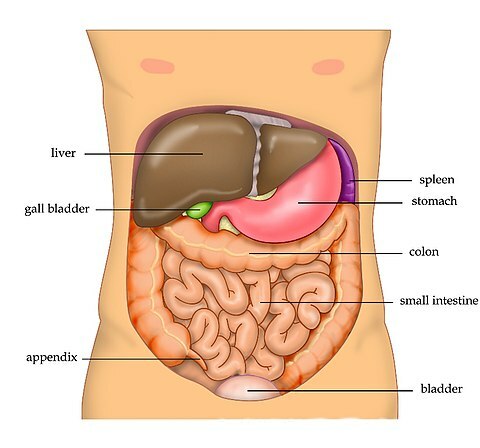 For this reason, most MRI scans essentially map the location of water and fat in the body. Pulses of radio waves excite the nuclear spin energy transition, and magnetic field gradients localize the signal in space. By varying the parameters of the pulse sequence, different contrasts may be generated between tissues based on the relaxation properties of the hydrogen atoms therein. Since its development in the 1970s and 1980s, MRI has proven to be a highly versatile imaging technique. While MRI is most prominently used in diagnostic medicine and biomedical research, it also may be used to form images of non-living objects. MRI scans are capable of producing a variety of chemical and physical data, in addition to detailed spatial images. The sustained increase in demand for MRI within health systems has led to concerns about cost effectiveness and overdiagnosis. 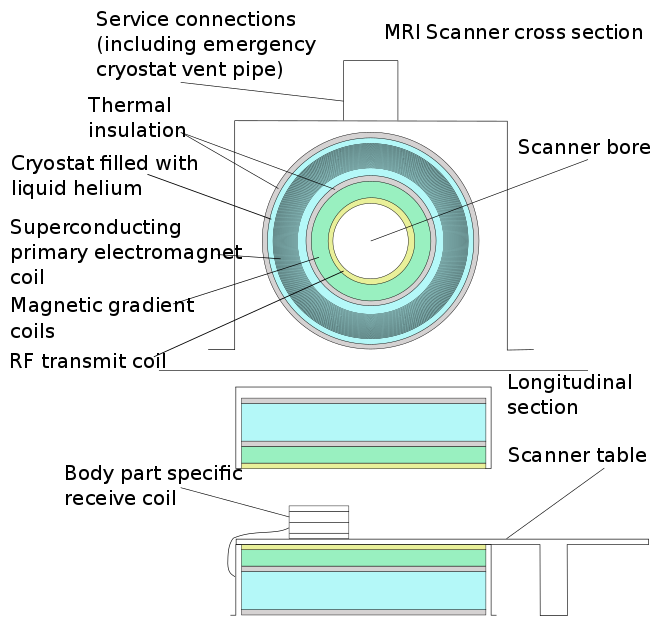 Schematic of construction of a cylindrical superconducting MR scanner. Patient being positioned for MR study of the head and abdomen. MRI sequence is a particular setting of radiofrequency pulses and gradients, resulting in a particular image appearance. The T1 and T2 weighting can also be described as MRI sequences. Overview table edit This table does not include uncommon and experimental sequences. Standard foundation and comparison for other sequences. T2 weighted T2 Measuring spin–spin relaxation by using long TR and TE times. Higher signal for more water content. Low signal for fat. Low signal for paramagnetic substances. Gradient echo Steady-state free precession SSFP Maintenance of a steady, residual transverse magnetisation over successive cycles. Creation of cardiac MRI videos (pictured). Fluid attenuated inversion recovery FLAIR Fluid suppression by setting an inversion time that nulls fluids. High signal in lacunar infarction, multiple sclerosis (MS) plaques, subarachnoid haemorrhage and meningitis (pictured). 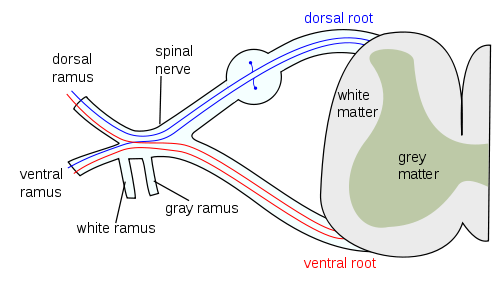 Double inversion recovery DIR Simultaneous suppression of cerebrospinal fluid and white matter by two inversion times. 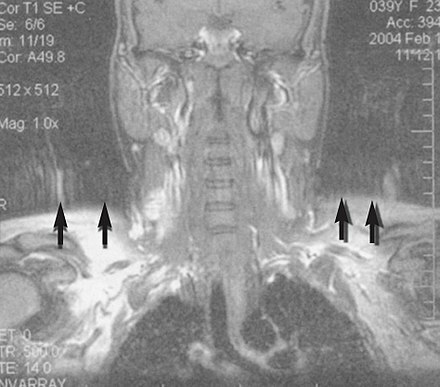 High signal of multiple sclerosis plaques (pictured). Brownian motion of water molecules. 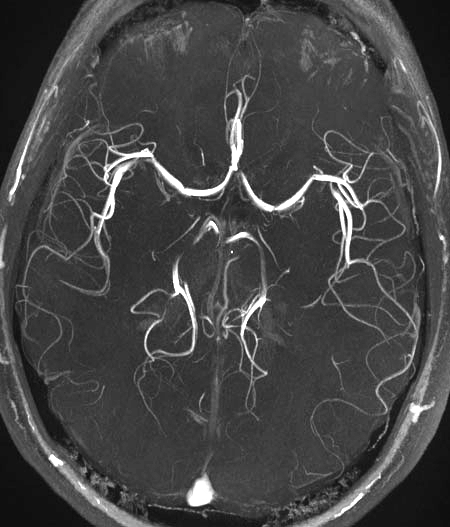 High signal within minutes of cerebral infarction (pictured). Apparent diffusion coefficient ADC Reduced T2 weighting by taking multiple conventional DWI images with different DWI weighting, and the change corresponds to diffusion. Low signal minutes after cerebral infarction (pictured). Diffusion tensor DTI Mainly tractography (pictured) by an overall greater Brownian motion of water molecules in the directions of nerve fibers. Gadolinium contrast is injected, and rapid repeated imaging (generally gradient-echo echo-planar T2 weighted) quantifies susceptibility-induced signal loss. In cerebral infarction, the infarcted core and the penumbra have decreased perfusion (pictured). Dynamic contrast enhanced DCE Measuring shortening of the spin–lattice relaxation (T1) induced by a gadolinium contrast bolus. Arterial spin labelling ASL Magnetic labeling of arterial blood below the imaging slab, which subsequently enters the region of interest. It does not need gadolinium contrast. Blood-oxygen-level dependent imaging BOLD Changes in oxygen saturation-dependent magnetism of hemoglobin reflects tissue activity. Localizing highly active brain areas before surgery. Magnetic resonance angiography (MRA) and venography Time-of-flight TOF Blood entering the imaged area is not yet magnetically saturated, giving it a much higher signal when using short echo time and flow compensation. Detection of aneurysm, stenosis or dissection. Phase-contrast MRA PC-MRA Two gradients with equal magnitude but opposite direction are used to encode a phase shift, which is proportional to the velocity of spins. Detection of aneurysm, stenosis or dissection (pictured). Susceptibility weighted SWI Sensitive for blood and calcium, by a fully flow compensated, long echo, gradient recalled echo (GRE) pulse sequence to exploit magnetic susceptibility differences between tissues. Detecting small amounts of hemorrhage (diffuse axonal injury pictured) or calcium. Molecular imaging by MRI Main article: Molecular imaging MRI has the advantages of having very high spatial resolution and is very adept at morphological imaging and functional imaging. MRI does have several disadvantages though. First, MRI has a sensitivity of around 10−3 mol/L to 10−5 mol/L, which, compared to other types of imaging, can be very limiting. 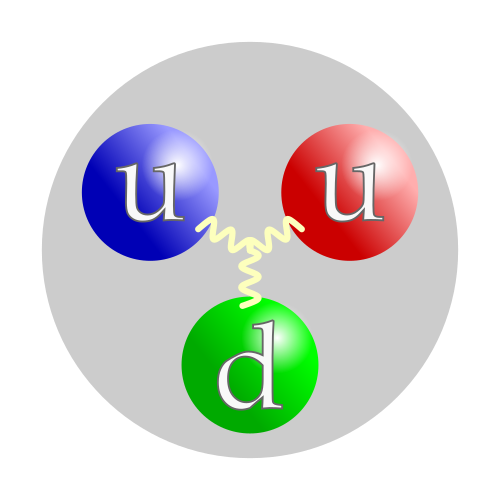 This problem stems from the fact that the population difference between the nuclear spin states is very small at room temperature. For example, at 1.5 teslas, a typical field strength for clinical MRI, the difference between high and low energy states is approximately 9 molecules per 2 million. Improvements to increase MR sensitivity include increasing magnetic field strength, and hyperpolarization via optical pumping or dynamic nuclear polarization. There are also a variety of signal amplification schemes based on chemical exchange that increase sensitivity. To achieve molecular imaging of disease biomarkers using MRI, targeted MRI contrast agents with high specificity and high relaxivity (sensitivity) are required. To date, many studies have been devoted to developing targeted-MRI contrast agents to achieve molecular imaging by MRI. Commonly, peptides, antibodies, or small ligands, and small protein domains, such as HER-2 affibodies, have been applied to achieve targeting. 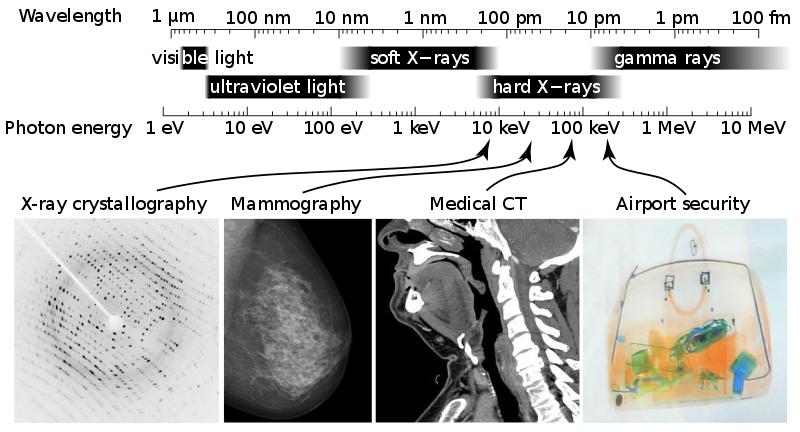 To enhance the sensitivity of the contrast agents, these targeting moieties are usually linked to high payload MRI contrast agents or MRI contrast agents with high relaxivities. A new class of gene targeting MR contrast agents (CA) has been introduced to show gene action of unique mRNA and gene transcription factor proteins. This new CA can trace cells with unique mRNA, microRNA and virus; tissue response to inflammation in living brains. The MR reports change in gene expression with positive correlation to TaqMan analysis, optical and electron microscopy. Economics In the UK, the price of a clinical 1.5-tesla MRI scanner is around £920,000/US$1.4 million, with the lifetime maintenance cost broadly similar to the purchase cost. In the Netherlands, the average MRI scanner costs around €1 million, with a 7-T MRI having been taken in use by the UMC Utrecht in December 2007, costing €7 million. Construction of MRI suites could cost up to US$500,000/€370.000 or more, depending on project scope. Pre-polarizing MRI (PMRI) systems using resistive electromagnets have shown promise as a low-cost alternative and have specific advantages for joint imaging near metal implants, however they are likely unsuitable for routine whole-body or neuroimaging applications. A 3 tesla clinical MRI scanner. Motion artifact (T1 coronal study of cervical vertebrae). Resonance (11 ed.). 2017. Retrieved 2017-12-18. 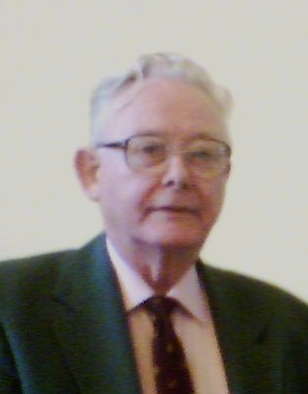 ^ Mansfield P; Grannell, P (1975). "Diffraction and microscopy in solids and liquids by NMR". Physical Review B. 12 (9): 3618–3634. Bibcode:1975PhRvB..12.3618M. doi:10.1103/physrevb.12.3618. Resonance in Food Science: From Molecules to Man. Royal Society of Chemistry. ISBN 9780854043408. Wikimedia Commons has media related to Magnetic resonance imaging. Resonance Safety, Education, and Research (IMRSER) Royal Institution Lecture – MRI: A Window on the Human Body A SHORT HISTORY OF MAGNETIC RESONANCE IMAGING FROM A EUROPEAN POINT OF VIEW Animal Imaging Database (AIDB) How MRI works explained simply using diagrams Real-time MRI videos: Biomedizinische NMR Forschungs GmbH.